Carrying on in the proud tradition of Cleveland-born jazz musicians from Tadd Dameron to Joe Lovano, Cleveland-native, New York-based multi-saxophonist, composer and educator Mike Lee tours presents a contagious music picture of his home turf and jazz's tradition. Top-flight NY sidemen improvisers pianist Matt Ray, guitarist John Hart, bassist Andy McKee, drummer Tim Horner and special guest violinist Rebecca Harris ignite bop cookers to Latin grooves to down-home blues to a breathy "Stardust." Jazz lovers will make Mike Lee's backyard their own and will keep coming back just to "hang." Buy My Backyard now at the OmniTone store. 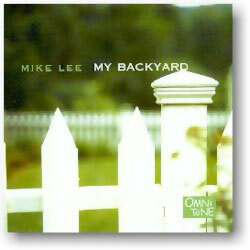 All compositions by Mike Lee, LikeMee Music/BMI, except as noted.